Mixed cereals bar with nuts, coconuts, sunflower seeds and almond butter. *This bar is a source of protein, which contributes to the maintenance of muscle mass. 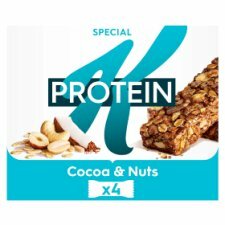 It is made with a nutritious combination of ingredients that are a natural source of protein - nuts, seeds and almond butter.